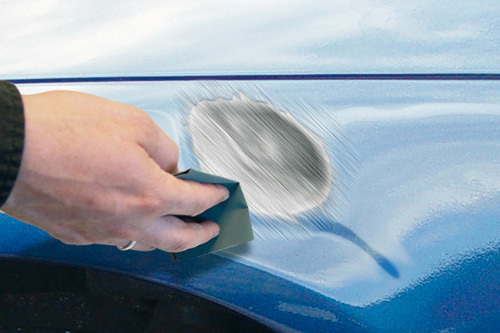 Clean the damaged area of coarse rust and dirt and sand down the old paintwork. Before continuing, clean the undercoat with MoTip Degreaser. 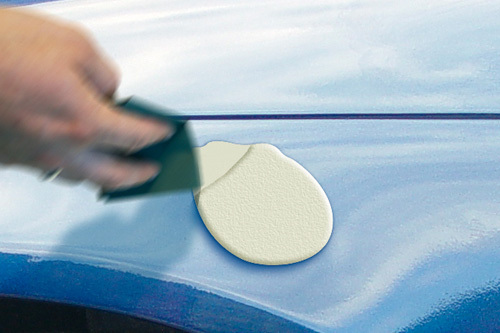 presto Bodyfiller is perfect for repairing holes and corroded metal surfaces. Take the required amount of filler from the tin and mix it thoroughly with 2-4 % hardener. 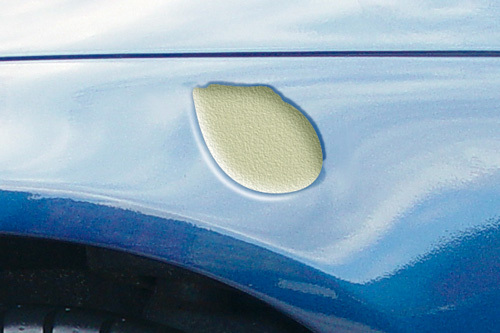 Place the filler in the dent, let the applied filler dry for about 30 minutes and then evenly sand. Then, even off the last uneven areas with presto fine filler. Mix the filler with hardener as advised on the product label. Let it dry for about 30 minutes and then wet sand it with 600-grit sandpaper. Clean up the sanding dust with MoTip Degreaser. 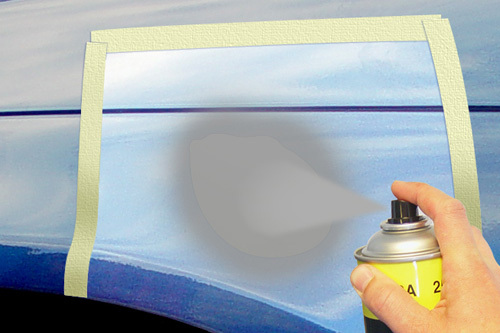 Cover the surrounding area with masking tape. 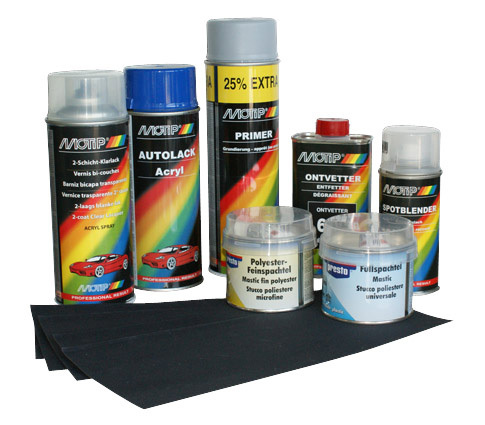 Pre-treat the area with MoTip Primer to ensure perfect adhesion for the subsequent paintwork. Apply the primer in several thin layers. Once the layers have hardened, sand them down with presto P1000 wet sandpaper. 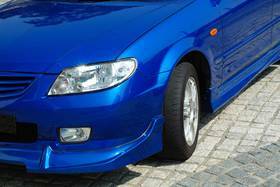 Once again, clean the undercoat with MoTip Degreaser. Remove the masking tape after about 2 hours once the clear lacquer has hardened. 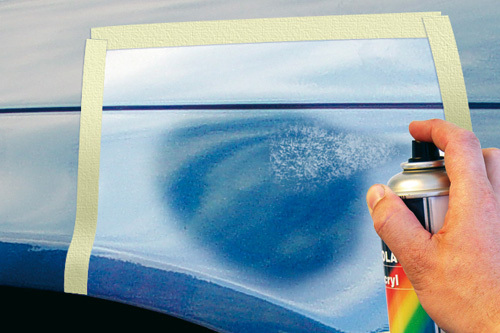 Wipe the undercoat with a clean, dry cloth. 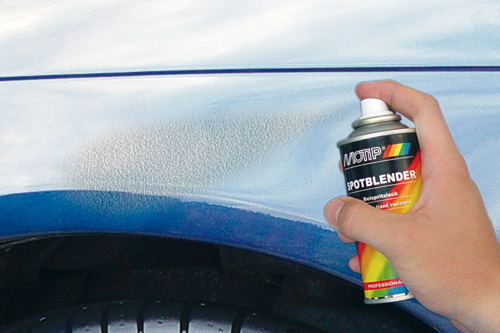 Last, but not least, we recommend using MoTip Spot Blender to ensure a smooth blend effect from the old to the new paintwork.